The shipping industry in Fiji has the potential to develop and earn foreign currency for the nation, says newly-appointed chief executive officer of the Fiji Maritime Academy, Captain Suren Gurusinghe. People find out about opportunities available at Ministry of Civil Service during National Job fair at FMF Gymnasium on April 24, 2019. Photo: Ronald Kumar. 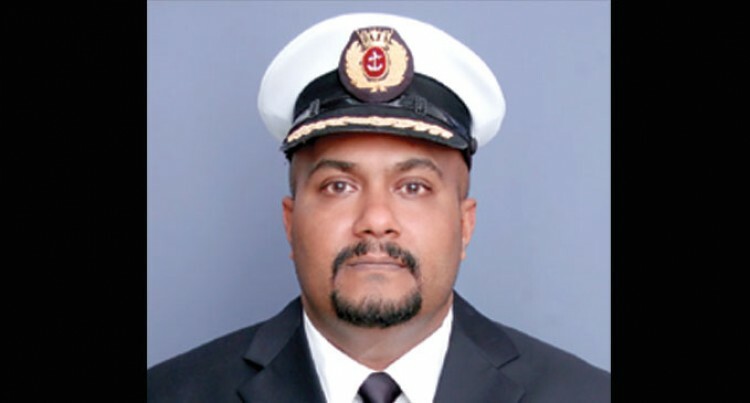 Just one month in his new role, Captain Gurusinghe who hails from Sri Lanka is happy to take on the challenge in spearheading quality education in the maritime sector. Being centrally located in the Pacific Islands, Captain Gurusinghe believes that Fiji can be hub for maritime training in the region. He said that Fijians are born seafarers and FMA would work towards producing high caliber Fijian cadets and officers in a bid to open employment opportunities by major shipping companies in merchant navy and offshore industry, thus bring in needed foreign currency to Fiji. “Ever since I joined FMA, the work experience and the daily task are quite enjoyable,” Captain Gurusinghe said. “The work environment is great and the people of Fiji are quite welcoming and very friendly. Visiting Labasa for the first time for the World Maritime Day last month was an eye-opener for him he shared – seeing how locals live and what the maritime institute could do for this country. Captain Gurusinghe is attached to the Academy until the end of the Memorandum of Agreement (MOU) between the Fiji National University, CINEC and Fiji Government, that is until December, 2019. – Started career as a deck cadet in late 1990s at Colombo international nautical and engineering college, Colombo, Sri Lanka. – Employed with Wilhelmsen Ship Management Norway for nearly 25years and specialised on oil, chemical and gas tankers. During this period most of the time worked on ships that are owned by Transpetrol tanker management in Norway. – Has trained as ship to ship transfer pilot for oil, chemical and gas takers.